The translation of the Arabic Qur’an into the languages of the world has received the broad acceptance of Muslim scholars since the middle of last century, though the practice of translating the whole Qur’an extends back to the sixteenth century or earlier. The original missionary goals were replaced by those of academic research, as well as Muslim efforts to clarify the teachings of their faith not only for non-Muslims but also for new generations of foreign believers. Translation is a particular method of explaining the Qur’anic text and can serve as a succinct way of expressing the meanings of its words and sentences. Many Muslims make a fundamental distinction between the Qur’an—revealed verbatim in Arabic as a divine challenge—and its translations, understood as human renderings of its meaning into other languages. Any product of the human mind is subject not only to the possibility of error but also to the capacity for difference of opinion. Translation of any complex and highly literary text is necessarily a difficult task, and one in which expert opinions can diverge at various points. After recognising the particularities of interpreting and translating a sacred text (too many to expand on here), the role of choice in the work of a translator is a reality that must also be appreciated. The translator may have to select exactly which text to translate (in this case, between the canonical readings, qirā’āt). On the level of vocabulary, a single word may have multiple meanings, more than one of which may be possible in a particular context. Indeed, it is possible that both meanings are intended, but that no single word in the target language will carry them both. There is also the challenge of observing the subtle distinctions between near-synonyms, e.g. the various words conveying senses of “fear,” even in a single verse. Then, on the phrasal and sentence level, the translator must decide which grammatical interpretation (iʿrāb) to follow. While the recent Qur’anic Corpus project is performing a valuable service in presenting the concept of grammatical parsing more widely, what may not be obvious from this project is the scope for diversity of opinion on this matter, as can be readily seen by consulting the books of iʿrāb and tafsīr. Similarly, the translator needs to decide on the referents of pronouns when they are ambiguous (e.g. between “he”, “He” and “it”), and how to incorporate punctuation such as sentence divisions and speech marks. After all this come the stylistic choices, such as how to render idioms and how the text will best flow in the target language. What follows is an analysis of a selection of translations of some verses (or parts of verses, as relevant) from the beginning of Surat al-Baqarah, in order to apply the above theory and discover the basis of difference between them. The method is to group the translations that are substantially identical (i.e. in all but style), and then identify the cause of divergence wherever it exists. It should be emphasized that this analysis will not indicate all the translations that could exist, because it is applied to a finite group (namely, those currently available on Quran.com); moreover, it is possible that translators tended to see things the same way, or indeed were influenced by each other. Indeed, there might be more diversity if they were to rely more pronouncedly on the books of iʿrāb and tafsīr, which present obscure interpretations alongside the more obvious. As such, what follows is designed to illustrate choice and divergence in translation and enable the reader to appreciate what is involved in the task. It is not intended to be an exhaustive treatment, but contains hints for further study. 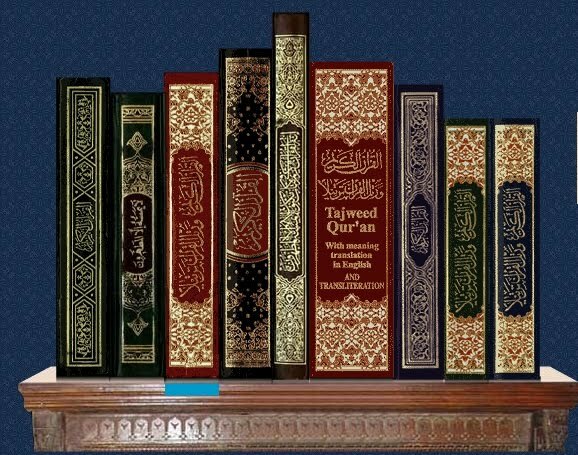 A subsequent project may be to do the same for the rest of the Qur’an, as well as to look at a greater number of actual translations, and indeed possible translations that were not selected by anyone before. It should also be noted that it is outside our present scope to discuss whether some mistakes were made by the translators, or which of their approaches is best in each case. Whether to render literally the demonstrative pronoun usually reserved for distant things (“that”) or consider the distance here as indicating greatness of “this” book. Whether to interpret the two words as being a complete nominal sentence (thus with “is”), or together as the subject (“This book”) which is then followed by the predicate. Different sentence structures depending on stopping place. Yusuf Ali’s rendering depends on reading it as ذَٰلِكَ الْكِتَابُ لا رَيْبَ followed by فِيهِ هُدًى لِّلْمُتَّقِين—resulting in the Book containing guidance, rather than being guidance. He has adjusted the phrasal order for flow in English. Different approaches to rendering the concept of taqwā, including the strategy of retaining the Arabic term. The literal “guidance” (verbal noun) or a more contextual “guide” (active participle). The different sentence structure used by Yusuf Ali, as explained previously. Rendering certain Arabic terms as they are. As this is a regular occurrence in Muhsin. Khan’s translation (as well as its excessive glosses), it will not be mentioned further. Renderings of the word hudā, with Shakir perhaps being influenced by its being indefinite here. Interpretations of the metaphor of being “upon” guidance. Pickthall has apparently understood that a word was left unmentioned; perhaps this ought to have been placed in parenthesis. Reading the active participle as indicating the present or the future. Reading the imperfect verb as indicating the present or the future. Whether to consider al-nās as referring to a specific number of people, or all mankind. This distinction is significant in certain other verses. Here and elsewhere: approaches to the past-tense verb “believed,” often rendered in the present to suit the meaning. Taking the verb to apply to the act of lying, or as a mode of behaviour which is the opposite of being true (i.e. sincere). Taking the verb as being a direct action in the present, or as an expression of the punishment which God will enact on the hypocrites, described with a verb that matches their wicked behaviour to indicate that the punishment will fit the crime in perfect justice and wisdom. The plural form of “darkness” being ignored, treated as an emphasis (“utter”) or rendered literally (“darknesses”) as a new coinage in English. How they understood these two terms and their meanings and relation in the context. The latter translator’s understanding of the literal meaning of the transitive construction dhahaba bihi. His attempt to convey the plural nature of abṣār, because the word for hearing (samʿ) occurs in the singular. See Q 4:9. This example is interesting, because the generally precise translators of Saheeh International have simply written “fear” three times. Yusuf Ali and Muhsin Khan have even combined the first two and called them “the same fear”! Dr. M.M. Ghali (who pays particular attention to synonymy) has perhaps done the best job of distinguishing between their senses in the verse; likewise Pickthall. The vast majority of translators have relied solely on the reading of Ḥafṣ ʿan ʿĀṣim, being the preponderant narration throughout the Muslim world since the era of publishing and indeed earlier. However, ten canonical readings (qirā’āt) are recognised as being equally authentic and authoritative. While most differences between them pertain to pronunciation only, some affect meaning and thus translation. The Bewley translation (1999) is based on the reading of Warsh ʿan Nāfiʿ. In addition, there are instances where translators deviate from the reading of Ḥafṣ, whether knowingly or unwittingly. These issues will receive a detailed treatment in the future. The books of tafsīr also contain divergence based on their stances concerning certain creedal and juristic matters, and so on. It is unclear to what extent many translators have relied on works of tafsīr to develop their interpretations; one could imagine that a linguistic treatment would be enough. We know that some, such as Muhsin Khan, make explicit reference to works of tafsīr; such can be seen in Yusuf Ali’s footnotes too. Unfortunately, most translators make little to no use of footnotes, and those who do write footnotes tend not to use them to explain their choices in translation. Sohaib Saeed is presently pursuing a degree in Qur’anic Studies at the Faculty of Theology (Usul al-Din) of the world-renowned Al-Azhar University, Egypt, after attaining degrees in philosophy from the University of Edinburgh. *This blog post is a slightly revised version of Sohaib Saeed’s essay from the website Quranica.com, which he manages.